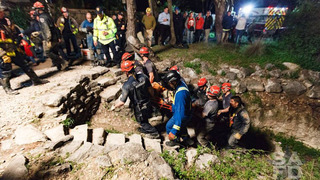 A high school student is safe after spending 10 hours stuck inside the Robber Baron Cave Thursday into early Friday morning. The San Antonio Fire Department was able to free her, but not without facing some challenges. The slideshow below shows up close photos of the dramatic rescue. “It was a long, drawn-out and slow process, but it helped that our guys were familiar with the cave,” said Joe Arrington, public information officer for the fire department. Arrington said the department conducts extensive trainings every year in the 500 caves located in Bexar County. He said he credits the firefighters knowledge about these instances to the department's relationship with the Texas Cave Management Association. “It goes without saying, the value of our relationship. We have to be able to perform a rescue like this,” said Arrington. Before Thursday’s rescue, some residents said they had no idea the Robber Baron Cave even existed. Don Beeler has lived in the home next to the cave for 44 years and he said he has never seen a rescue that was quite like this one. Jon Ranzau, TCMA president, said that the location where the girl got stuck is called the Hole in the Floor, and it is not uncommon for cavegoers to find that area challenging. 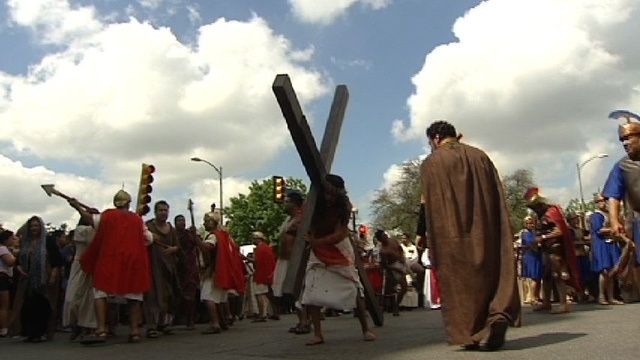 He said it is typically fun for people to figure out how to get through. Ranzau stressed that no matter the difficulty level of that area, trained volunteers are always there to help when they are needed. “We do station a trained certified volunteer at that particular area to help people navigate through it so it is always supervised, especially for school and youth group trips,” said Ranzau.